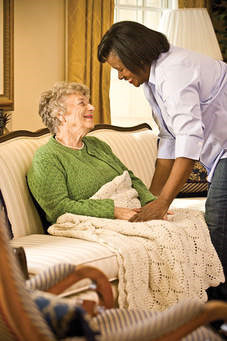 "If there was ever a year for home care and hospice managers to join us, this is the year, said Bill Dombi, Vice President for Law, National Association for Home Care & Hospice (NAHC). Agencies across the country are faced with looming budget cuts, the possibility of more cost shifting onto beneficiaries, diminishing margins, and increasingly stringent - and often confusing - new regulations. These challenges are offset with great opportunities that we will address." With so much at stake, this is the year to attend NAHCs Annual Meeting & Exposition October 31  November 3 in Washington, DC. Register today to join your colleagues in Washington and fight to preserve access to home care and hospice services. NAHCs president, Val J. Halamandaris recently made a video updating NAHC members on developments in Washington, though urged all members to join their peers for this years Annual Meeting given how high the legislative stakes are for the entire home care and hospice community. While the video highlights several pieces of good news at the federal level, Mr. Halamandaris also reminds all NAHC members about how important it is for all NAHC members to attend the Annual Meeting October 31  November 3 in Washington, DC to continue to fight to preserve Medicare by opposing additional cuts to the program and also opposing the reintroduction of any home care copayments. Will you be at the NAHC Annual Conference this year?